Hedonisia Hawaii places great emphasis on ‘pleasurable activism’! We believe that it is possible to make a living working for a better planet and to have fun doing it! We practice sustainable living locally in our eco-friendly community of travelers. With our Activist Entrepreneur philosophy, we teach and inspire eco-tourists to make a living in a way that benefits people and the planet. Hedonisia, with its alternative ‘eco-lodgings’ and model of community-based tourism, allows guests, volunteers and interns to enjoy an affordable, educational, cultural and more interactive vacation than simply staying in an overpriced hotel and getting a tan! We are a founding board member of the Hawaii Sustainable Community Alliance (HSCA). 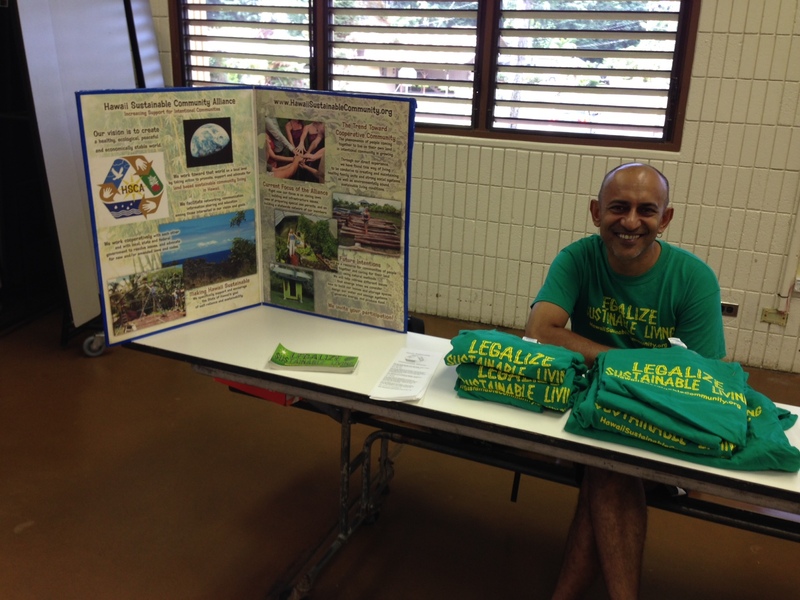 This grassroots organization is working to change legislation in Hawaii to allow for more eco-friendly building practices and communities. For example, bamboo, a fast growing eco-friendly wood that has been used as a building material for thousands of years in Asia, is illegal to use as a construction material in Hawaii. As a local sustainable community based on ecotourism, part of our community effort is creating local awareness and lobbying the county and government directly to allow for more eco-friendly zoning for homes and communities in Hawaii. Since 2010, we have been active in promoting legislation that is supportive of eco-friendly living and tourism. And now in 2017, we are trying again! 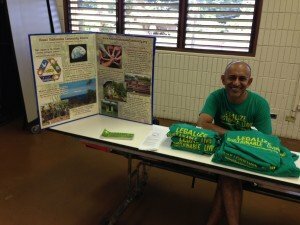 Currently, the Hawaii Sustainable Community Alliance, a 600 member local political lobbying group which Hedonisia is a founding member of, is starting its third attempt at passing landmark legislation to create a legal precedent for alternative housing, eco-communities and living in America and around the world. As Vice President of the HSCA, I invite each intern to sign up the mailing list on the site. Over the next few months, you will be asked to phone or write in testimony to the Hawaii State Legislature where you can create your own account and be part of the political process to give testimony on laws that are going to affect our beautiful state. We started Hedonisia Hawaii in 2004 as a simple eco-hostel. We had no politics in mind at that time. We just wanted to offer people a more affordable eco-friendly vacation than the ‘concrete tourism’ in the over developed resort areas of Waikiki, Kona or Lahaina. However, we found it can be quite difficult to create a sustainable community not only in Hawaii but in most of the USA and Europe due to excessive government zoning and planning regulations. For big corporations it is much easier to create an environmentally destructive 5-star resort than it is for a small community to go through the cumbersome, expensive and very bureaucratic process to offer services that are outside of the realm of ‘traditional tourism’. As a result of our frustration with existing legislation, we had to be part of the political process. And that is what we have done with our local political activism! We also practice social sustainability globally through our Socially Responsible & Eco-Feminist Business Web Projects. EcoTourism Prototype. We want to demonstrate that true, low-impact eco-tourism is possible in Hawaii and involves inspiration, education, and enjoyment. Environmentally Friendly Building Permits and Legislation. We want to change zoning laws in Hawaii, to give intentional communities with a social enterprise focus, the ability to legally exist with government incentives—rather than sanction. Sustainable Community Management Internship. We want to educate intern managers so they can create and manage a sustainable community in Hawaii or elsewhere in the world. Community, Activist, Feminist or Environmental Entrepreneur Business Incubator. When an intern has an idea for their own social entrepreneur business, we act as an inspirational and practical incubator for them to develop their idea while interning at the community. To develop sustainable principles, prototypes and practices: Community resource exchanges, natural or recycling building materials, thermal and solar heating/cooling systems, renewable power generation, water harvesting, contained sewage treatment systems and food production. Eco-Hut Prototypes. At Hedonisia we build small huts like Puka Hale, from recycled and renewable materials as affordable eco-tourist lodgings and to present to the government as prototypes for sustainable low impact living. It is not compulsory for interns to work on our local political activism. When it comes to politics we can describe an issue but cannot require support from Interns. In a community of individuals, each person has different political beliefs and we respect that. However, we hope that interns appreciate the ‘big picture’ of what we are trying to do and give support from that space. And the big picture is that sustainable community living is often a legal issue in most ‘developed’ regions of the world. Many local, state and international governments will have such strict rules regarding community living, that they make it all but impossible in many regions. Every intern currently in our community is only there because of our past activism. In April 2011, Hedonisia was ordered to be closed by the County of Hawaii. Were it not for our activism in the HSCA, this community would not exist! Micro issues like building, cleaning, community relations, and maintenance are important for the survival of a community and are part of an intern’s duties. The macro issues like the political environment and government regulations are also important but they are not part of an intern’s ‘work’. In 2012 – 2014 we had 4 interns who did play a small role in the HSCA. They attended meetings of their own volition and gave testimony. They understood that we could not require interns to be political. They just cared for Hedonisia and other communities in the area and wanted to be part of creating a historic piece of ‘big picture’ legislation. Hedonisia does plan to be more politically active as part of our policy of entrepreneur activism! So interns are welcome to choose this as part of their focus activities! Our budget is tiny for the vast range of projects that are managed by our little Hawaii eco-community! If you wish to make a donation to the EcoFeminist causes our community supports, please feel free to do so! a) The Activist Entrepreneur: An instructional ebook on how to create a business which produces products or services, that make a profit and work through the political system to change laws for a socially progressive, feminist or environmental cause. b) The Hedonisia Handbook: Through hard work and experimentation, we have developed a practical set of guidelines, material, and ideas that have allowed us to evolve and grow over the years into a sustainable feminist community based on ecotourism and activist enterprise. $9.95 for 2 years access. This is a one-time payment. Pele’s Flow – The Kilauea Volcano Eruption!